I recently got back from my trip to San Francisco for LendIt 2014. It was my first trip to California and I enjoyed everything about my visit. 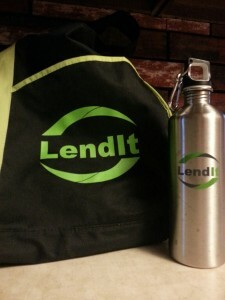 I first have to thank Peter and his team at Lend Academy and LendIt for the opportunity. Without their generosity to allow me to volunteer, it wouldn’t have been feasible for me to attend. Enthusiasm filled both rooms at the Hilton over the course of the two days. It is incredible to think how far the industry has come since I started following it last year. There were over 900 attendees and I wouldn’t be surprised to see over 2000 next year. 15.9% of attendees were individual investors while 27.7% were institutional investors. This is a natural progression of the industry as investors flock to the higher yields. 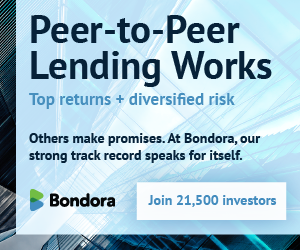 I’m confident that the teams at Lending Club and Prosper will continue to watch out for us retail investors. People from 23 different countries were represented at this years conference. I was able to see about half of the presentations and panels and it was amazing to see some of the innovation coming out of these companies. I was tweeting on behalf of @LendItConf in both the grand ballroom as well as in the demo room where Simon from Lending Memo introduced the speakers. As a retail investor and someone who focuses on most of my content on Lending Club and Prosper, I enjoyed talking to folks involved in the space (as well as a few readers). Michael & Rocco from Nickel Steamroller : They showed us a LendIt branded version of NSR which was pretty cool. They also discussed formula filters – something that I am especially excited for. For instance, you would be able to see how returns are affected if the borrower is requesting less than what their revolving credit balance is. Keep an eye out on the blog for continued content featuring them. Emmanuel from Lending Robot : Emmanuel gave a demonstration of how the tool works. He showed off the slick user interface with cascading filters. I expect to see more innovation coming soon from them. Matthew and Michael from PeerTrader : PeerTrader is a new player in the automation game. You can currently join their beta waiting list, but I expect to be featuring them on the blog sometime this summer. Stay tuned! There was an overwhelming amount of content and I’ll just quickly hit on some other topics I enjoyed. The panel on European lending was fascinating. The most interesting point for me was RateSetter’s provision fund. My understanding of it is that it guarantees returns (although lower) by using a separate fund to repay you – should a borrower fail to do so. The short term business lending panel was also a great discussion. I was completely unaware of the players in this space and the opportunities out there. They are able to provide loans for businesses when they need it most. When it comes to something that a business is absolutely dependent on like high cost machinery, this part of peer to peer lending could be a life saver for business owners. I recommend you keep an eye out for when the videos get posted online. As for LendIt 2015 in New York, I am hopeful that the site is successful enough for me to attend. thank you for sharing. I might attend next year event.! It really gives you a great perspective on the industry. Thanks Ryan. We appreciated all the great work you did at LendIt, not least of which was manning the registration tables all of Sunday afternoon. I only heard good things about you from the LendIt team, so we hope you will be able to make it next year to New York. We hope to have dates for LendIt 2015 in 2-3 weeks. Yep, good work, Ryan. Volunteers at conferences are unsung heroes. I’m glad you had a good time in California. Regarding your observations above, I also was fascinated about the provision fund at the two competing UK platforms. I recall it existing so that they would not have to comply with some onerous regulation, but it really does simplify the story to potential investors (of course at the cost of some yield).